For those of you who are new to The Crochet Architect website, I’d like to share my FREE Baby Booties pattern with you today. 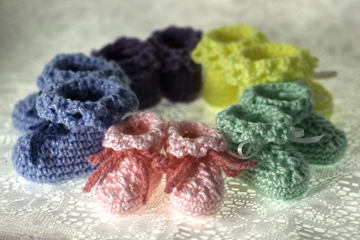 These booties are on the small side at 3” long, perfect for preemies and newborns. They’re made with sport weight yarn and a size G (4 mm) crochet hook. Or use worsted weight yarn and a larger hook to make them bigger. It’s your choice. The added drawstring, which can be made from a length of ribbon or crocheted with a coordinating color of yarn, helps keep the booties on little baby’s feet. The chain loops at the top of the booties give them a little flair! You can find the FREE pattern here. 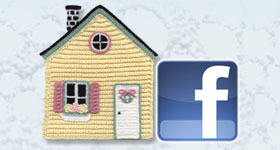 I hope you enjoy this FREE baby booties pattern and visit The Crochet Architect website often! And I hope you’re enjoying National Crochet Month, too! I’m so glad you like this pattern. These booties are fun and quick to make! You could even make the sole a different color than the sides and top if you’re short on yarn!